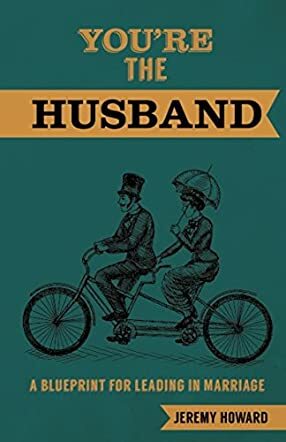 You’re the Husband: A Blueprint for Leading in Marriage by Jeremy Howard is an engaging book that speaks about the role of the husband. This book boldly addresses the millennial generation of husbands and men, and will remind families what it will take to restore that sense of hope and security by going back to the basics, especially the role of the husband. The author’s tips and suggestions will give good insights to all husbands who do not know where to start. Many men are confused when it comes to the biblical instructions for husbands, and in this book the author explains these instructions from the Bible with simplicity. The author’s observations on relationships and their complexities have been dealt with in this book by giving helpful advice to couples and also making them aware of spiritual truths as they navigate Christian marriage. It is also helpful to couples to see where they need to change, especially men, as it describes the importance of implementing the two pillars - love and responsibility - perfectly so that they make their wives happy. The topic is fascinating and unique and one does not easily find books written on this topic and that makes it a refreshing read. Women like to be cared for, loved, and listened to, and men are always good leaders, which makes them good husbands and fathers. The book is a must-read for all men as they navigate through marriage and learn the importance of commitment, service, and sacrifice.